A feature that is a monthly regular on my website is the Fight Calendar which lists all bouts for everybody’s reference. 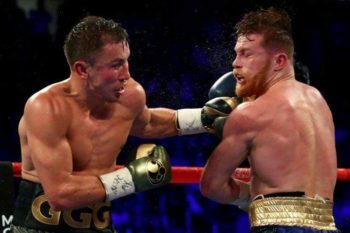 I want to alert you to two outstanding fights that are coming later in 2017; be sure to mark them on your boxing agenda: November 4 – Deontay Wilder vs. Luis Ortiz, WBC heavyweight championship; and December 9 – Vasyl Lomachenko vs. Guillermo Rigondeaux, WBO super featherweight championship. Between these four boxers they have a amazing combined ring record of 91 wins, 1 loss, and 78 by knockout! 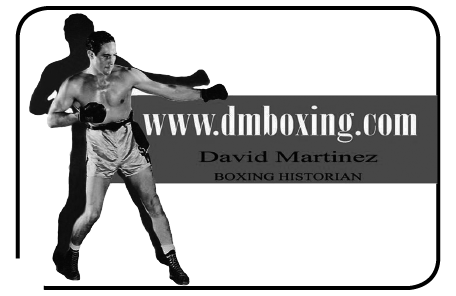 I have received some kind comments regarding my recent postings of several very historical boxers from the past: George Dixon, Terry McGovern, Battling Siki, Owen Moran, and Jimmy Berry. Coming later this month is George “KO” Chaney and next month is Young Corbett III for your viewing. Honorable Mention: Srisaket Sor Rungvisai, Leo Santa Cruz, Daniel Jacobs, Donnie Nietes, Luis Nery, Anthony Joshua. I know you have many choices in boxing. Thank you for making dmboxing.com one of them! I had GGG up 7 4 1. Pretty close 2 your score David. The guys in our top 12 are similar, different order and some different guys though. To be expected.